Friends of Panthertown volunteers are needed this coming Tuesday, April 9 to help us build a new section of trail at Wilderness Falls. We hope you will join us to help! Re-routing a .25 mile section of the Wilderness Falls Trail will provide for safer access to this very popular waterfall. 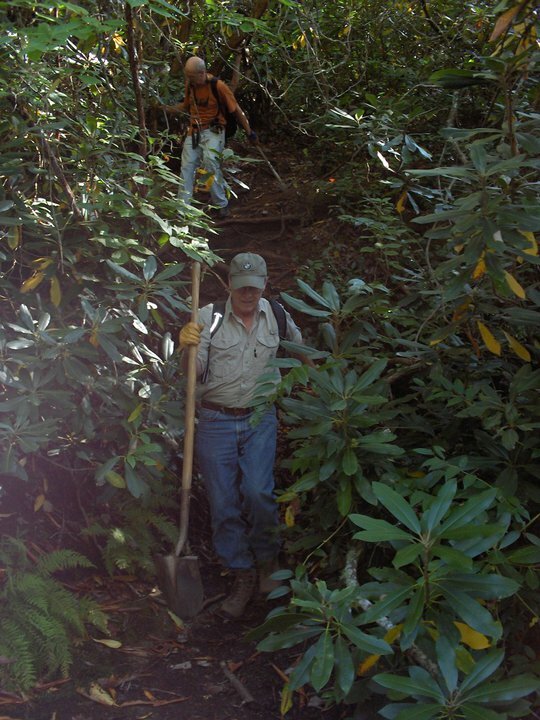 Volunteers should meet at the Salt Rock Gap trailhead at the end of Breedlove Road in Cashiers, NC at 9:30AM. We will be working on re-routing the middle section of the popular Wilderness Falls Trail to make for easier and safer access to the waterfall below. Trail tools and instructions will be provided and new volunteers are always welcome. There will be spring wildflowers beginning bloom and a great opportunity to enjoy Panthertown with other friends! We expect to hike less than 3 miles on easy to moderate trails and be done by 3PM. Trail volunteers are asked to pack a lunch, bring plenty of water, wear good shoes, and bring a pair of work gloves and pruners if you have them (we’ll also have some to loan out). For more information call (828) 269-4453 or visit www.panthertown.org. You may also RSVP or send any questions to friends@panthertown.org. You may RSVP for our April 9 Trail Work Day at our Facebook event page. 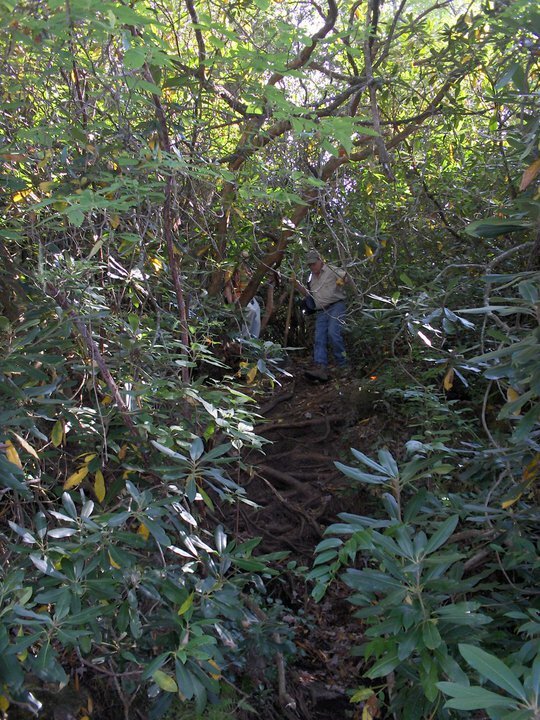 Volunteers are needed to help reroute this section of Wilderness Falls Trail. Volunteers will build a new, safer quarter mile section of trail on flatter ground. 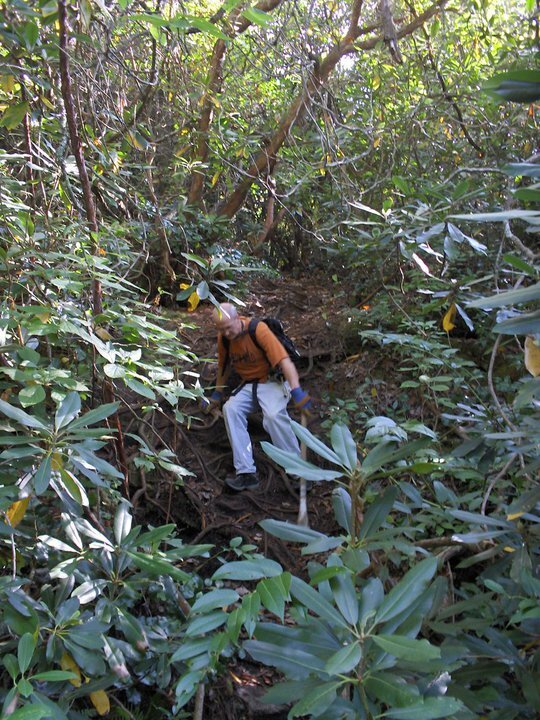 This very steep and dangerous section will be eliminated from Wilderness Falls Trail. Visit our Calendar of Events for up to date information about special events and volunteer opportunities in Panthertown Valley. Learn more about giving back to Panthertown by becoming a member or by volunteering at one of our trail work days. Visit the Friends of Panthertown volunteer information page for more information about what to expect, what to bring and how you can help.